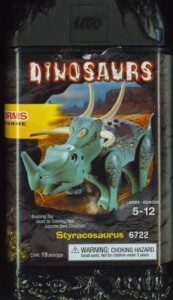 With the Lego Dinosaurs Styracosaurus set you get four different dinosaurs toys in one kit. 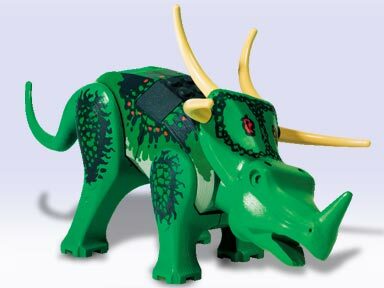 This Lego Dinosaur kit is for ages 5 to 12. It is fun and easy to build and would make a great Lego dinosaur starter kit because there are only 19 pieces in this kit and most are fairly large. Styracosaurus lived in North America 70 million years ago. He was about 20 feet long and ate plants.